If you missed out on the Red Dead Redemption pre-order downloadable content last year, you&apos;re in luck...we guess. Perhaps in a pre-L.A. Noire sell-off frenzy, Rockstar is re-releasing all three next week. 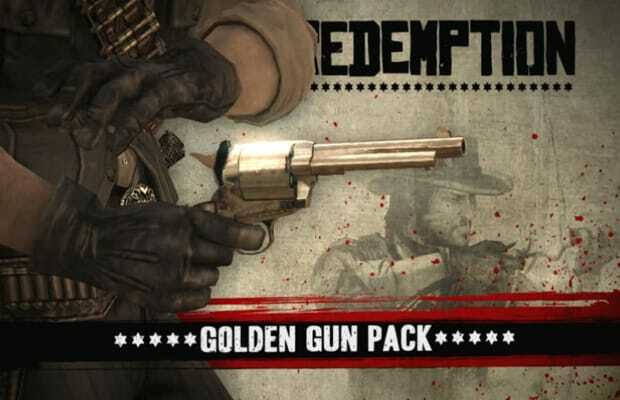 On April 12, The Golden Guns Weapon Pack, War Horse, and Deadly Outfit Pack will hit Xbox LIVE (80 Microsoft Points each) and PlayStation Network ($.99 each). We&apos;re not sure what the "technical difficulties" were that prevented this from happening sooner, but there&apos;s gotta be someone out there who hasn&apos;t played the game yet because they&apos;re waiting for just the right pair of chaps.